Thame has come a long way since its humble beginnings as a small Oxfordshire civil parish. As well as great links to London and Birmingham for commuters, the east Oxfordshire market town is close to the city of Oxford as well as Aylesbury in Buckinghamshire. 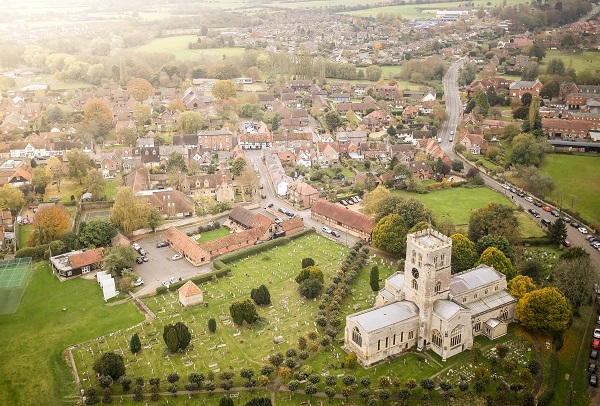 The beauty of Thame's semi-rural location means buyers and renters get the best of both worlds - great amenities associated with larger towns and glorious outdoor space courtesy of the Chiltern Area of Outstanding Natural Beauty, which is right on the doorstep. Add into the mix superb schools and the M40 for fast links into London and Birmingham and it's clear to see why Thame attracts families from far and wide. Despite the extension of the M40 sparking a raft of more modern commuter developments on the outskirts of Thame, the town centre has retained its period feel and the properties that go with it. Character cottages, Victorian terraces and Georgian townhouses are all present and correct alongside the 1970s and 1990s newer homes that followed the motorway's extension at either end in both eras. 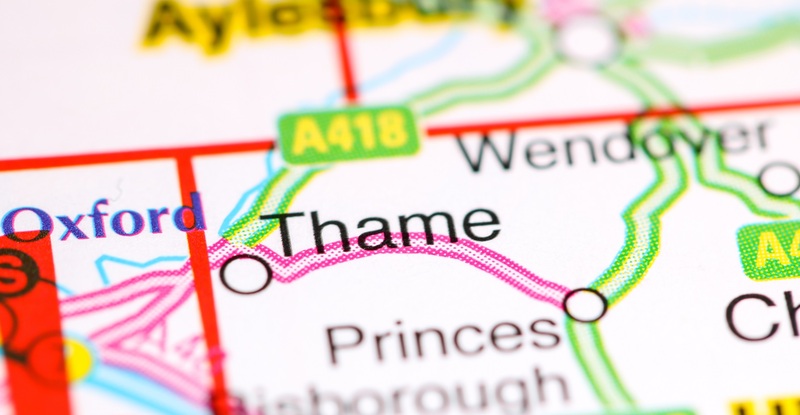 In keeping with its family appeal, the majority of homes sold in Thame in 2018 were detached properties at an average price of £614,643. Those period Victorian terraces and semis, meanwhile, fetched between £360,000 and £413,000. Thame boasts a variety of period conversions and new-build apartments, many of which are available for rent for between £680 and £1,000. Thame's biggest draw for commuters is the M40, which was extended in 1974 to provide east Oxfordshire with a fast link road to London via junction seven at Great Milton. Once the extension was completed in 1990, the town had a further quick link to Birmingham in the opposite direction. A good run on the M40 directly into London takes around one hour 20 minutes, while Birmingham is slightly longer at one hour 40 minutes. On the trains, services from Thame to London Marylebone take just 40 minutes, with Birmingham Moor Street is just over an hour away. Although prime employment hotspots like London, Birmingham and Oxford are well within reach of commuters, Thame is also home to some big employers itself. 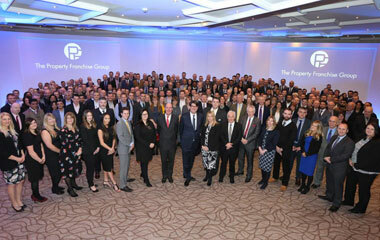 The field marketing firm CPM Group has an office-based staff of around 750 at its Thame headquarters along with around 4,500 field-based staff across the UK and Ireland. And Travelodge, the budget hotel operator is also based in the town having first set up the company's head office in 2004 before moving to biggest premises in 2006 - creating a further 70 jobs. Thame's three primary schools - John Hampden, Barley Hill and Tetsworth - are all within easy reach and are all rated 'Good' by Ofsted. Thame's state secondary school, Lord Williams's, meanwhile, is judged 'Outstanding' by the education watchdog. As a traditional market town that has also moved with the times, Thame has plenty of high street retail therapy available for keen shoppers. In among the various independent retailers and food outlets, several well-known high street brands are also present, including Fat Face, Robert Dyas and White Stuff. And with Oxford just a short jaunt away via the A418 and A40, the popular Westgate shopping centre is well within reach for lovers of top-end brands. Thame's pubs really do take some beating when it comes to food. Among the best is The Thatch, which is housed in a 16th-century building that oozes character. Serving gastro food with a local touch, such as roast Cotswold chicken, The Thatch also serves a host of cocktails, gins and delicious wines. If you're really looking to push the boat out, Raymond Blanc's Belmond Le Manoir aux Quat'Saisons in nearby Great Milton has held two Michelin stars for a staggering 35 years! 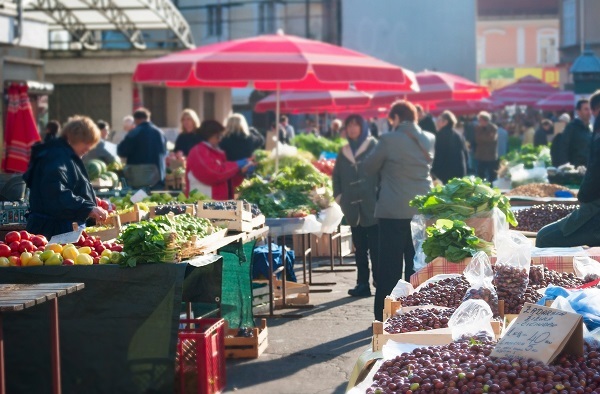 Away from the independent shops and food outlets, Thame's Tuesday market has a wide variety of stalls, including butchers, fruit and veg and a fish monger. Fans of TV drama Midsomer Murders, which was filmed in Thame, should take in a 'Visit Midsomer' walking tour of the tow, as well as visiting the Thame Museum which has a variety of collections from the area. The Phoenix Trail, which runs from Princes Risborough to Thame, is brilliant for a family bike ride out in the fresh air of Oxfordshire. Alternatively, and sticking with Thame's 'Midsomer' theme, the Thame Murder Mystery Treasure Trail is great fun for all the family. Follow the sneaky clues around the town to reach the end of discover whodunnit!